Mr. Mustafa Sahin, Researcher at SESRIC, visited Central Bank of the Republic of Indonesia on 23 March 2012 to discuss issues of mutual interest of cooperation between the two institutions. 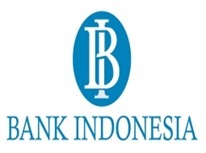 The visit took place at the Headquarters of Bank Indonesia (BI) in Jakarta, where Mr. Trita Segara, Head of the Multilateral Cooperation and International Affairs, Mr. Ali Sakti, Researcher at Islamic Finance Department, Mrs. Sari H. Binhadi, Economic Analyst and Mrs. Rian Afiyarga, Researcher, were present along with some senior staff of the Bank Indonesia. At the outset of the meeting, Mr. Segara welcomed the SESRIC representative, and then, gave brief information on various activities and capacities of the BI, focusing on the recent international collaborations. SESRIC congratulated Mr. Segara for his new appointment as Head of the Multilateral Cooperation and International Affairs. SESRIC representative briefed the BI on the Central Banks Capacity Building Programme (CB-CAP) and expressed its thanks to BI for their intention to participate in the upcoming activities. Representative also informed BI about the Meeting of the Central Banks and Monetary Authorities of the OIC Member Countries organized by SESRIC which will take place on 14-15 May 2012 in Istanbul Turkey.